Love / Romance | Oh my lord I just had a fapgasm! If you’ve wooed your partner with a fantastic first date, you’re going to have to keep that creativity going to show them it wasn’t just a fluke that you chose such a fun activity. Or, perhaps you’re in a relationship that seems to be getting a bit stale. 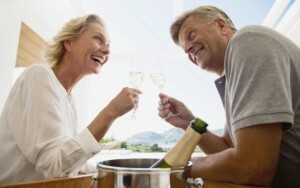 Many couples will often get stuck in the rut of doing the same thing every time they get together, and it can start to feel boring or suffocating even. Adding some spice to your love-life is important. Whether you’re looking to impress a new person you’re dating, or put some excitement into a relationship that you’ve been in for a while, these fun date ideas are sure to please. Use your time together to serve up food at your local soup kitchen. It will be a new experience and you’re helping your community at the same time. Most cities have some sort of factory, whether it’s a brewery, a button factory or maybe a cookie factory. And – most factories offer free or low-cost tours. It’s like watching “How it’s Made” in person. If you’re like most people, there are tourist attractions in your very own city that you’ve never bothered to go see. Grab your camera and fanny pack and go see the sites in your own town. Arcades are fun, but you’ve likely forgotten about them since you were just a young teen. Grab some tokens and take to some friendly competition in a computerized motorcycle race. Both of these places can show off your skills (or lack thereof) but you’ll have fun doing your best. Make a friendly wager that the person who does the worst has to buy the ice cream afterwards. If you’re both adventurous, try going bungee jumping or sky diving. The adrenaline rush will bring you guys closer together and you’ll have something to talk about for a long while after. It’s a simple idea that often gets overlooked. Take a packed lunch and go down to a nice park or find a lake where you can watch the ducks and enjoy the outdoors. The theater allows you to get dressed up which is a fun element, and unlike a movie – you get an intermission which allows you to chat about what you’re seeing. Break out in your favorite ballad together, and then sit back and pretend to be judges on a reality show. You’ll definitely have a few laughs. Going to an Art Gallery or Museum takes some of the pressure off of coming up with conversation, because you have so much to look at and comment on. If you’re not close to a Major League sports team, don’t worry about it. Grab some coffee or ice cream and head down to the nearest park that holds little league games. You might be surprised at how much fun they are to watch. Going out to dinner can get old, unless you go to a themed restaurant. There are many restaurants that include some type of show or audience interaction to add some spice to a normal dinner out. There are many one-hour classes that you can sign up for that don’t cost much. Try a ceramics or painting class. And you’ll have a souvenir you can bring home too. It’s dark and cozy, and you can keep the romance going when you leave by finding a nice place in an open area to lay a blanket and try to find the stars you just learned about. If you’re daring enough, find a local psychic and have your palms read or your fortunes told, then compare your future life paths. With all the parties going on here and there, there is no other perfect opportunity to meet your perfect man than this holiday season. And if one of your goal this year is to be with your perfect man, then you better start strutting your stuff, because the year is about to end. If you don’t know where to start looking, then here are some ideas to get you blasting off to world of romance. Here are some great ways on how to find the perfect man. – Attending private parties. This is the peak season for private parties, so don’t pass anything up. Your perfect man might be waiting for you to revel up the Holiday season. – Host your own party. With the Holiday season, you have all the excuses to host your own party everyday. But if you decide to host one big Christmas party, and have your own slice of the goodies, then you better emphasize to your guests to bring someone along whom they think is the perfect man for you. Tell your guests that this is one of the Christmas games in the party, and the guest who brought the yummiest man of all wins a prize! Another idea I got in this spectacular e-book, “Wanted: Mr. Right”, about hosting your own party is to tell your friends or guests to bring a single guy they are not romantically interested in. Who knows? Another woman’s trash is another woman’s treasure, right? – Have an intimate dinner party good for 3-4 people. Ask 2 of your closest friends to bring an acquaintance that you don’t know. Unlike big parties with lots of people to attend to, hosting a small dinner party will give an opportunity to get to know your guests better. Giving you a better chance in meeting your perfect man. – Attend family gatherings. I know that you would be dragging your feet in going to one of these gatherings, but if you don’t want to lose any opportunity in meeting your perfect man, then better starting revving up those feet and attend your cousin’s wedding or your annual Christmas party. Who knows? Maybe your cousin Albert brought a potential mate. – Attend to school reunions. Oh boy, I know going to school reunions can be a “Twilight Zone experience”, but think of it this way, maybe that nerdy classmate of yours in science class is not so nerdy anymore, or that hunk you have been drooling over since forever may grow a special interest in you now that you are more mature and confident. It really doesn’t hurt to try. There are a hundred ways to meet your perfect man, and you can have all the information and great ideas in “Wanted: Mr. Right,” but these ideas are useless, unless you make that decision to go out there! So don’t pass up the chance to be with your perfect man before the year ends. Go and get out there and be in love. For most of us, unconditional love is a difficult – if not impossible – concept to grasp. In an egocentric world bogged down with terms and conditions, the idea of loving someone unconditionally is akin to inviting a thief to one’s house and giving him a set of keys – pure trouble. Stipulations govern most aspects of our lives – employees are sworn to uphold a code of work ethics or risk discharge; students are required to follow school policies or hazard expulsion; churchgoers are expected to abide by the church set of laws or run the risk of banishment. Our personal relationships are not spared from such onslaught-prenuptial agreements doom a marriage before it has even begun, and marriage itself is regarded as a contract to which husband and wife are bound for life. Burdened by all these requisites, it is no wonder that the majority scoff at the notion of loving completely. But just what is the meaning of unconditional love? How do we practice it and not lose our sense of selves? Unconditional love is comparable the adoration existing between lovers. But while the latter is usually confined to feelings that are romantic in nature, the former encompasses all kinds-religious, familial or storge, philia as present between friends, and self-love. Of all these, the unqualified love of self takes primacy for one can not even begin to care for another without first caring for himself. Crucial to the idea of unconditional love is the absence of stipulations- its existence does not depend on a condition being met, a task being accomplished, or an order being obeyed. One superior example is parental love. A child may vacillate between loving and hating his parent as he goes through life, but a parent’s feelings for the child never wavers. A mother does not love the child for being good and she does not stop loving the child when he misbehaves. Loving unconditionally also means loving freely, without expectations of reciprocity. It is thinking of another’s happiness without regard for what one might get for oneself in return. A person who loves unconditionally loves because he feels so, regardless of whether the feeling is reciprocated or not. This may sound masochistic, but the very essence of unconditional love is that it is an act of feelings apart from will. One can not say that he has loved unconditionally if the affection given is dependent on being loved in return. Unconditional love is inexhaustible. It forgives and forgets transgressions, without holding grudges. Loving someone unconditionally implies separating the individual from his conduct and beliefs, and accepting the person for who he is. There are instances, however, when a loved one’s behavior becomes unhealthy as in the case of alcoholism, drug abuse or domestic violence. This is when unconditional love of self takes precedence and a person would be wise to distance himself from such violent behavior. But perhaps the most defining characteristic of unconditional love is that it is unrestrictive. It means giving others freedom to pursue their own happiness for their own good. A parent who loves absolutely will let go of the child’s hand so he learns to find his own way in life. Similarly, one who loves wholeheartedly will not stand in the way of the lover whose happiness lies elsewhere. As we can see, unconditional love is a state of being and feeling, independent of the actions of the loved one. It is devoid of stipulations, expectations, and limitations. Loving unconditionally maybe the hardest thing we can do, but it is also the most rewarding. As the saying goes, what you give comes back to you many times over. Love unreservedly and you will be loved back the same way. And that is the essence of happiness. It is human nature to crave for companionship, so it’s no surprise when most singles dream of being in a relationship. Of course there are some who have a profound fear of commitment and stay with a partner for only a few months or years. But what most singles really dream of is meeting the one person whom they can be with for a lifetime of love. Even those who are already in a relationship, albeit a chaotic one, still hope for the best and make every effort to spend their whole lives with their partner or spouse. Divorce rates may be high, but a lot of people want to avoid breaking up as much as possible, and so do their best to find a way to work out each other’s difficulties in order to have a lasting love. Yet most people think that a lifetime relationship is distant and passionless; the scenario is always an old couple living under the same roof, barely talking to each other and having separate sleeping quarters. While this situation happens quite often, it doesn’t mean that all relationships will take this road. There is always a way to have a lasting love filled with passion, but the road is never easy and requires tremendous courage and determination. Here are some important insights of what it takes to have a lifetime of love: Most couples tend to think that a relationship is ok when they are always happy and comfortable. However, when difficulties arise and result in conflicts, they think that they are with the wrong person because they are at odds. It is unfortunate that some people think this way, because the truth is, conflicts and difficulties are a normal aspect of any relationship. Locking horns with a partner doesn’t mean that you are wrong for each other-it only means that the relationship is going on a deeper level and problems can actually teach a lot of valuable life lessons. Sometimes it is easier to shut up and avoid having a fight with a partner than to say what one truly feels. But, looking the other way when we get hurt or don’t like what’s going on can actually be more detrimental in the end. Suppressed feelings of anger and hurt can fester and eventually cause resentments. This, in turn, can cause friction between couples and more often than not, creates a bigger and deeper conflict when the feelings finally blow over. Speak up when you have to and learn to deal with your feelings right away-unless you want ill feelings to slowly work its way into your relationship and cause irreparable damage. 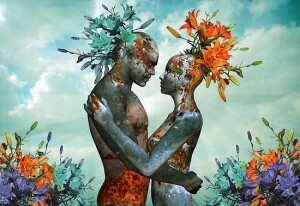 Being in a relationship and loving a person makes one a part of a whole-two people are united and become one in love. However, it is not right to cease being your own person when in a relationship. A couple is composed of two persons, and they are two individuals with their own hobbies, friends, wants, needs, ideas, dreams and ambitions. When you love another, it is right to take part and try to love the things that matter to that person. Harmony is not achieved by being a clone of one’s partner—if he/she loves classical music, it doesn’t mean that you have to throw away your extensive CD collection of rock music! Harmony and lasting love is achieved by the meeting of both yours and your partners’ world, all the while enriching each other to become a better individual.